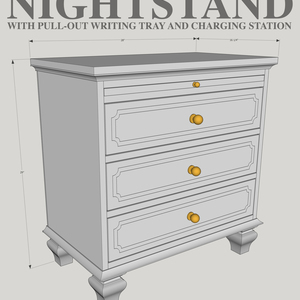 This nightstand has a pullout writing tray with a charging station hidden in the top drawer. The pullout shelf holds nighttime necessities while three drawers beneath provide generous storage. 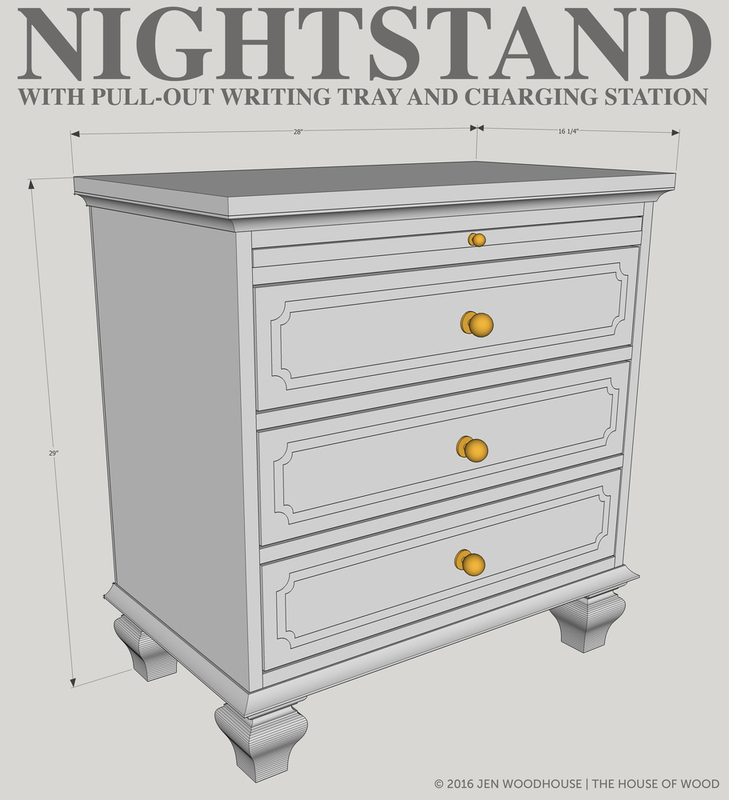 How to build a nightstand with pull-out writing tray and charging station. 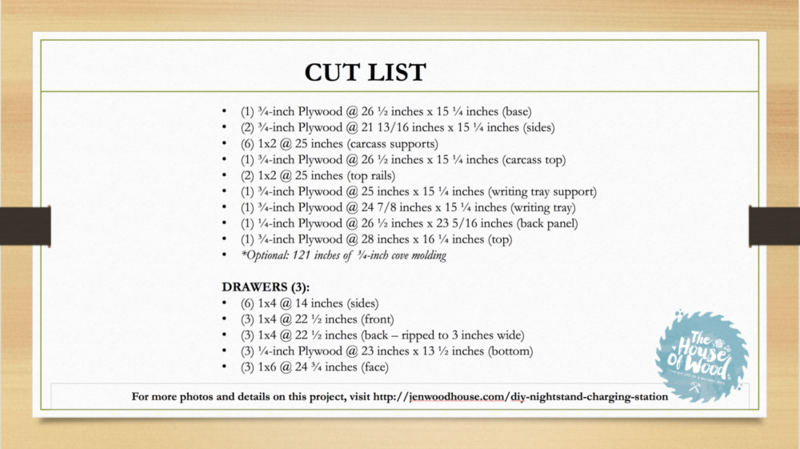 Using the cut list above, cut the base. 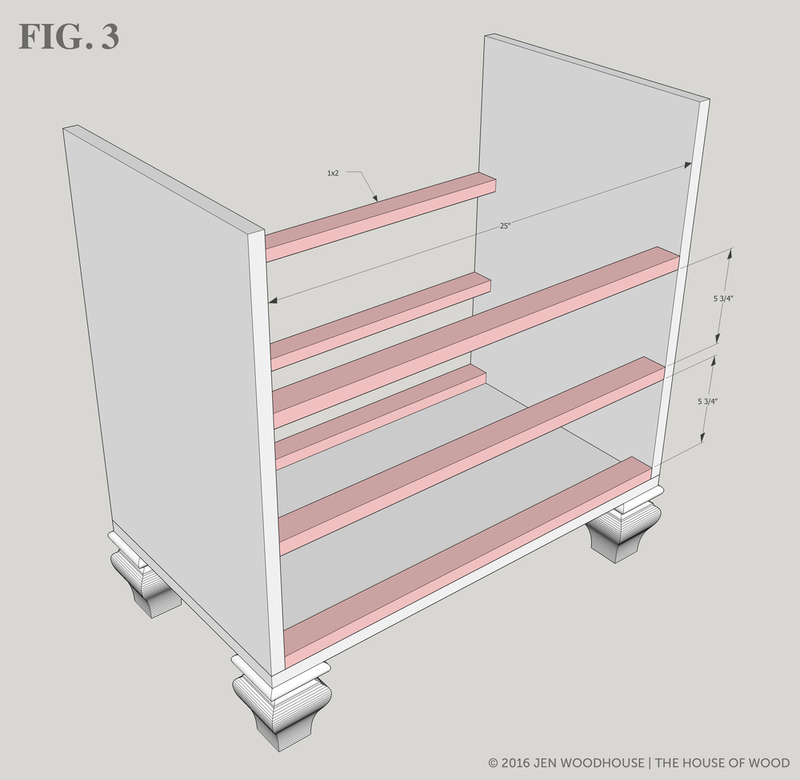 You may choose to attach the furniture feet at this step or do so later in the build. 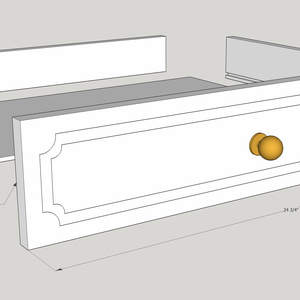 Attach metal corner brackets to the corners of the base and screw in the furniture feet. 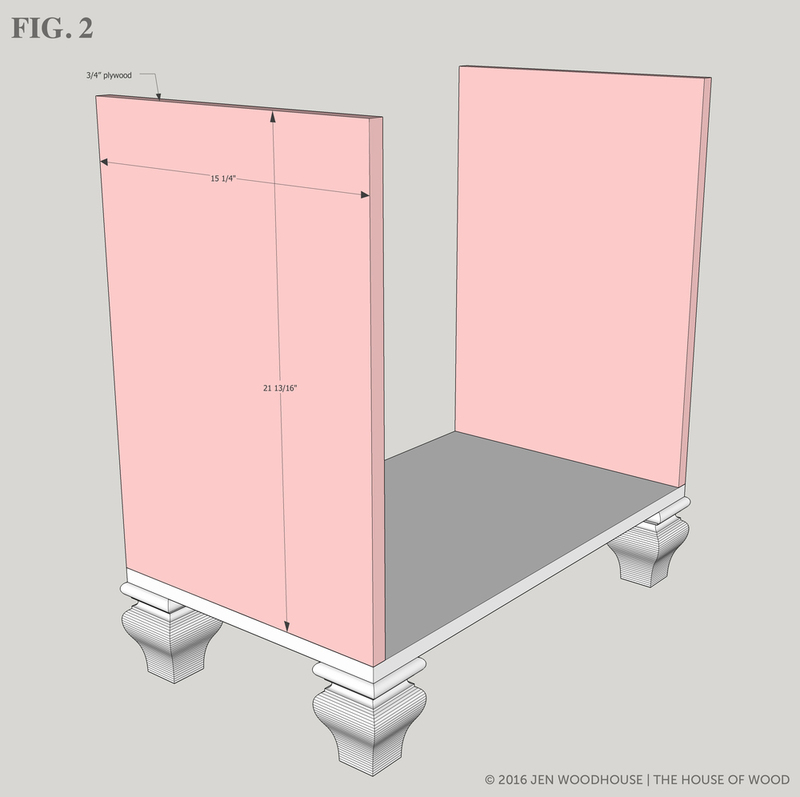 Drill ¾-inch pocket holes into the plywood sides along the top and bottom edge and attach side panels to the base with 1 ¼-inch pocket hole screws and wood glue. Attach the supports. Drill ¾-inch pocket holes into the ends of the 1x2 supports and attach to the side panels with 1 ¼-inch pocket hole screws and wood glue. Attach the top. Using the pocket holes you drilled into the side panels, attach the top with 1 ¼-inch pocket hole screws and wood glue. Attach top rails. Drill ¾-inch pocket holes into the ends of the 1x2 rails and attach to the carcass with 1 ¼-inch pocket hole screws and wood glue. You can also shoot 1 ¼-inch brad nails from underneath to attach the supports to the top. 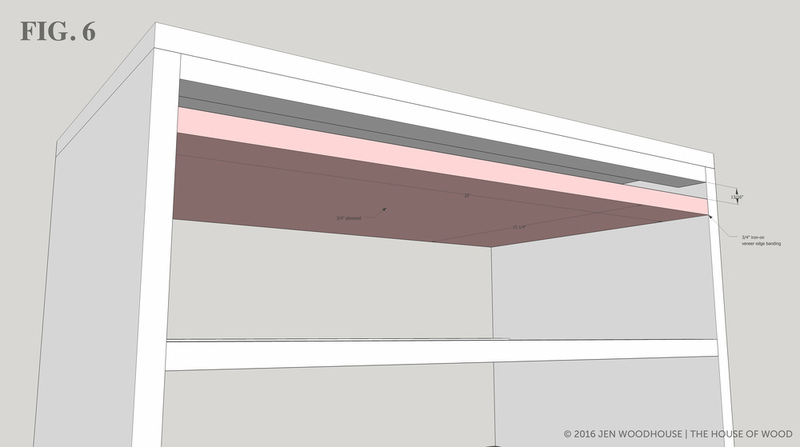 Attach the writing tray support. Drill ¾-inch pocket holes into the writing tray support and attach to the carcass with 1 ¼-inch pocket hole screws and wood glue. Ensure that there is enough space for the writing tray to slide in place easily. 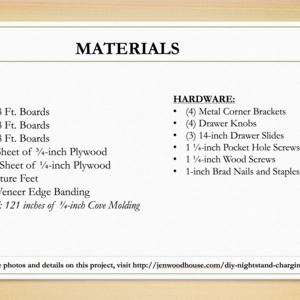 Iron-on ¾-inch veneer edge banding to the front of the tray support to hide the raw plywood edge. Cut the pull-out writing tray to size. 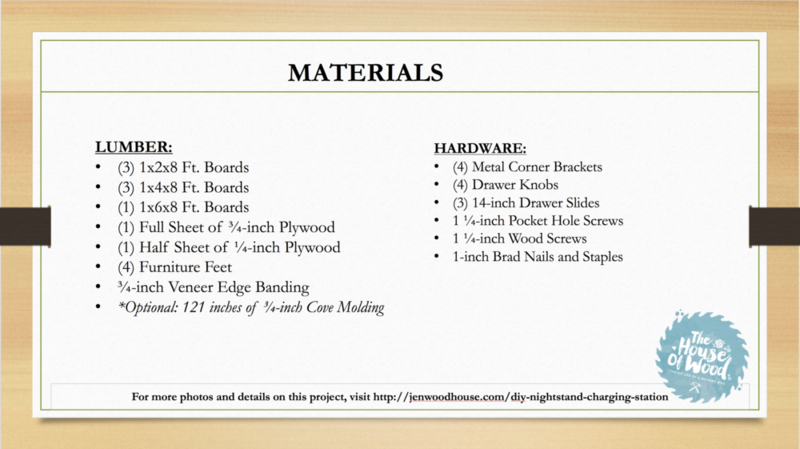 Iron on ¾-inch veneer edge banding to the front of the tray to hide the raw plywood edge. Check to ensure the tray will fit and slide in easily. 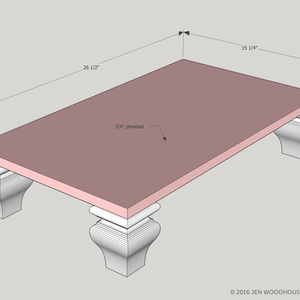 Measure the mid-point on the front edge and pre-drill a pilot hole for the knob. Screw in the knob. Prepare the drawer components. 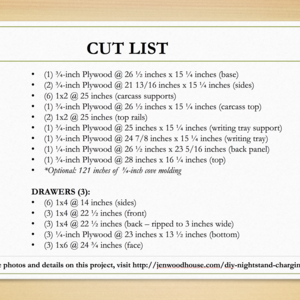 Cut the drawer components according to the cut list. Then, using a router fitted with a ¼-inch channel bit, route a ¼-inch wide x ¼-inch deep groove into the drawer sides and front. 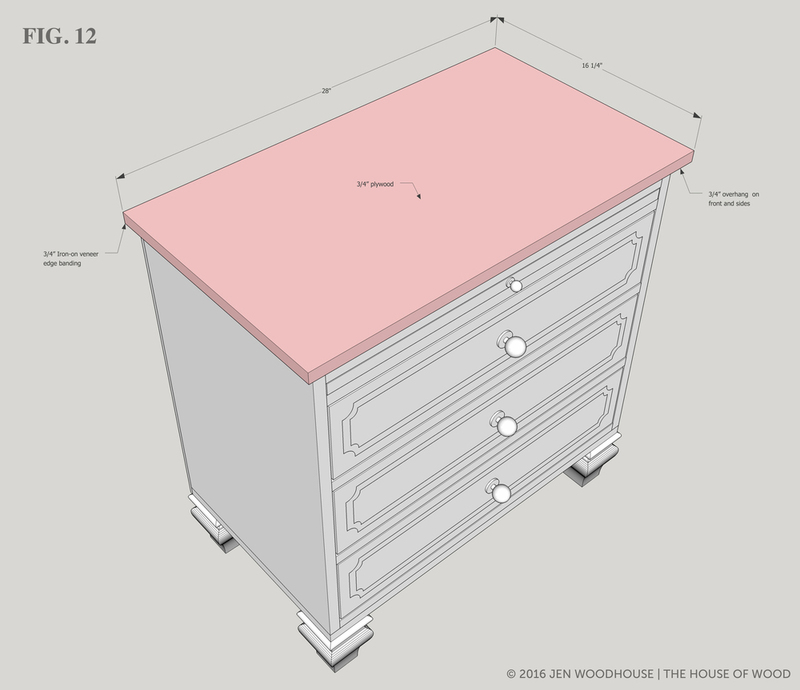 This is so that the drawer bottom "floats" in the drawer. 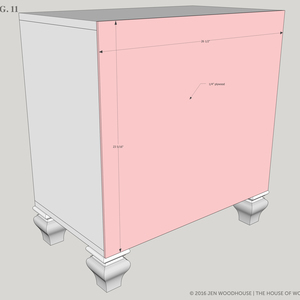 Alternately, you could also nail and glue the bottom panel onto the drawer box, but creating a groove for the bottom to slide into is an extra detail that makes for a more professional-looking drawer box. 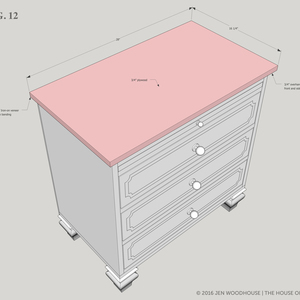 Build the drawer box. 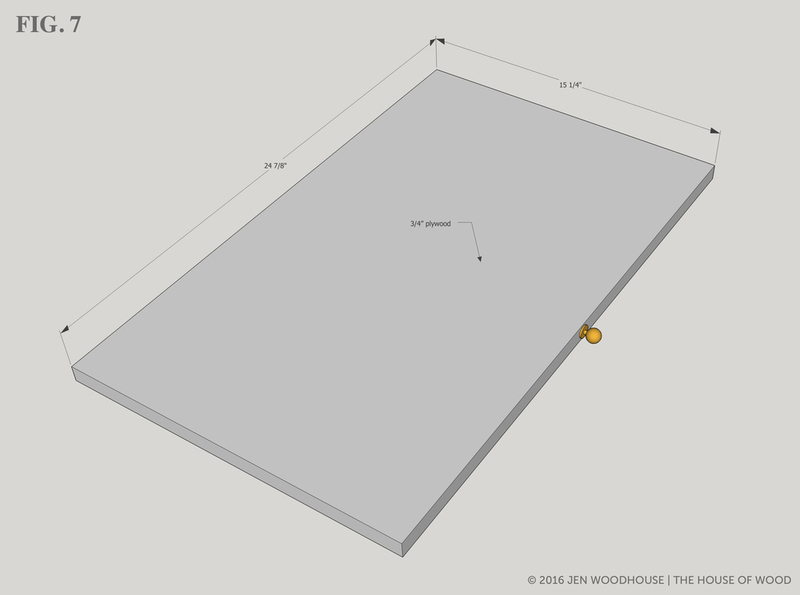 Using a table saw, rip the back board of the drawer down to 3 inches wide. 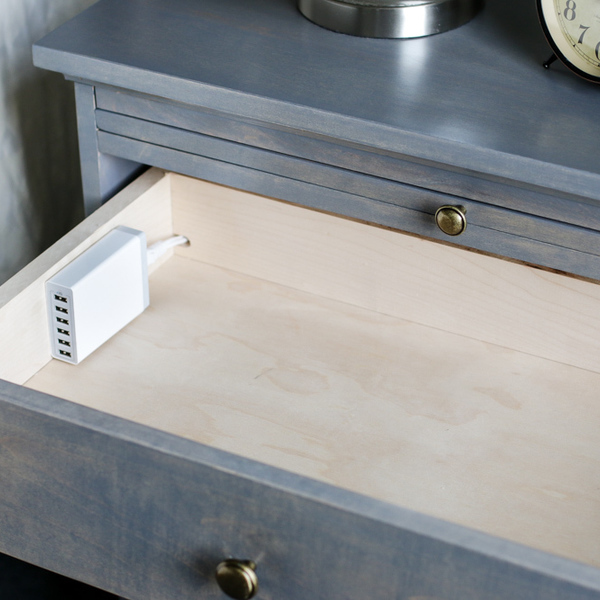 Using a ½-inch drill bit, drill a hole into the top drawer back (this will be for the charging station cord). 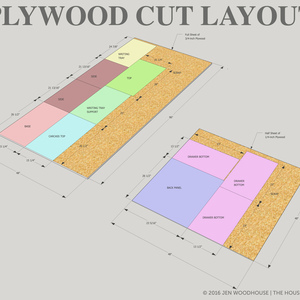 Cut the bottom plywood panel. 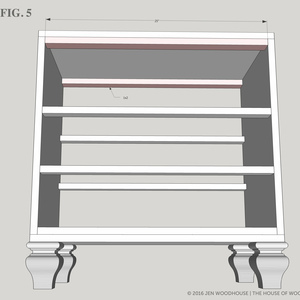 Drill ¾-inch pocket holes into the drawer front and back. 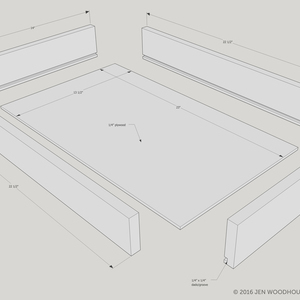 Construct three sides (front and sides) of the drawer box by attaching with 1 ¼-inch pocket hole screws and wood glue. 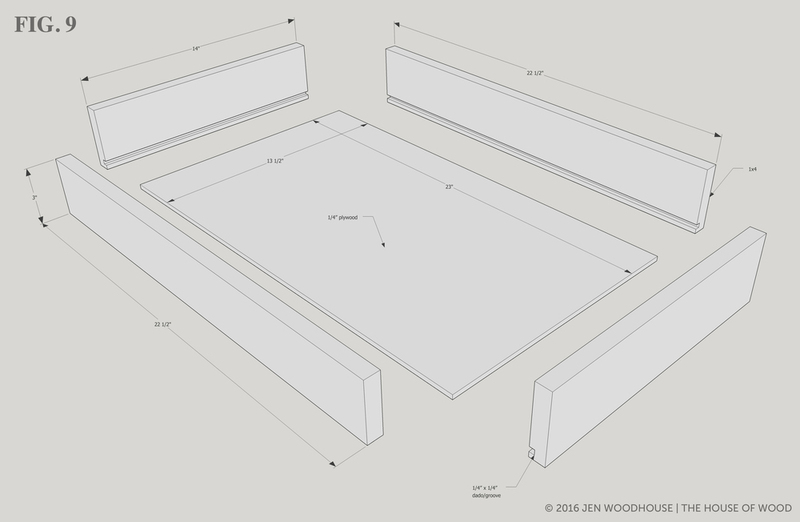 Slide the bottom panel into place (using the grooves) and add the drawer back. 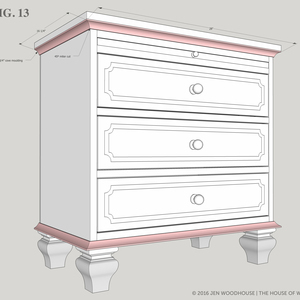 Attach the drawer back to the drawer box with 1 ¼-inch pocket hole screws and wood glue. 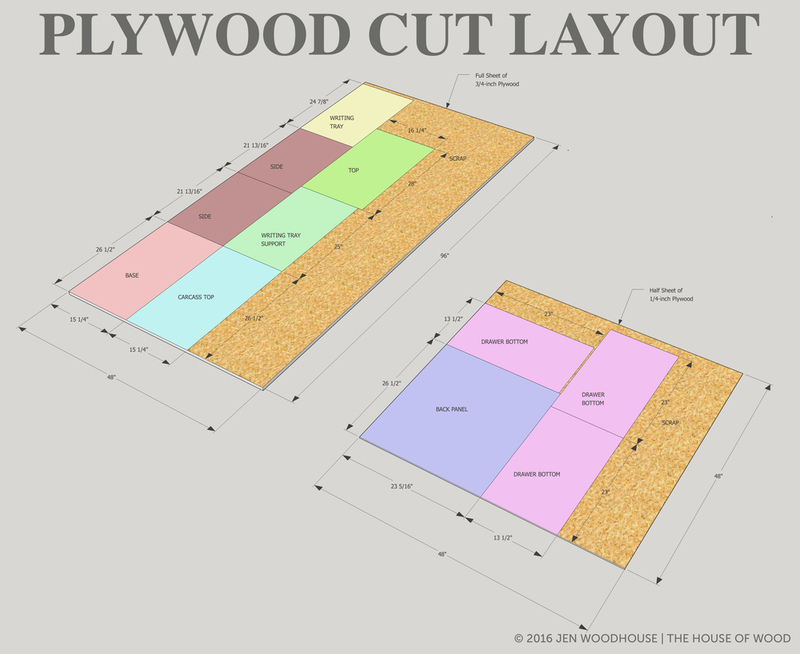 Use a stapler or brad nailer and wood glue to attach the bottom panel onto the drawer back. 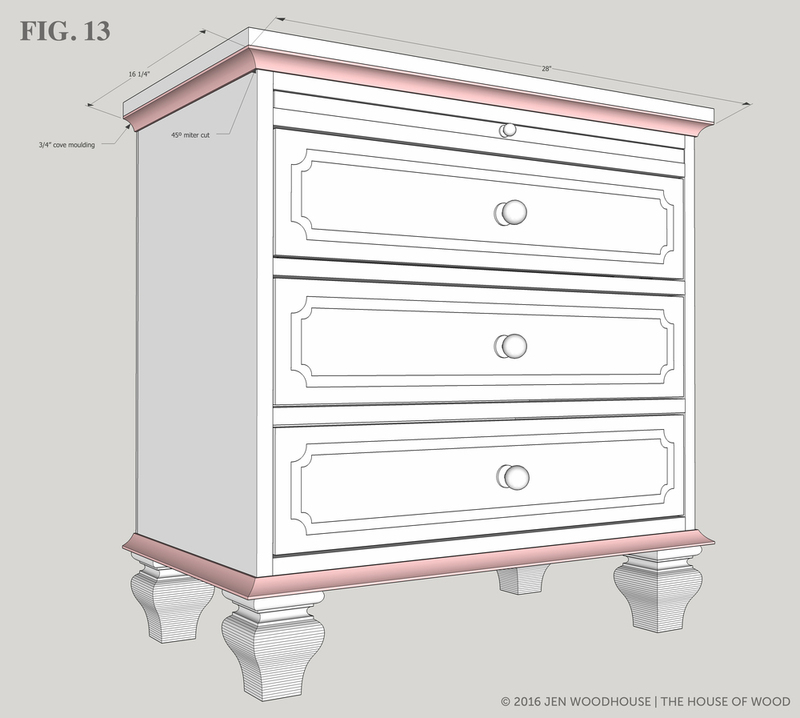 Attach the drawer face. 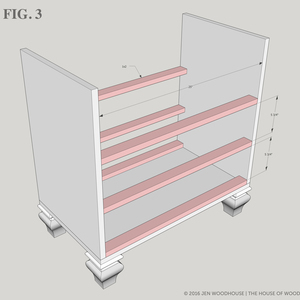 Once the drawer box is constructed, attach the drawer slides according to manufacturer's directions. 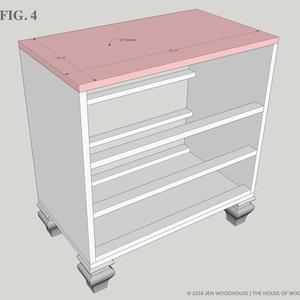 Slide the drawer into place and measure the space for the drawer face. 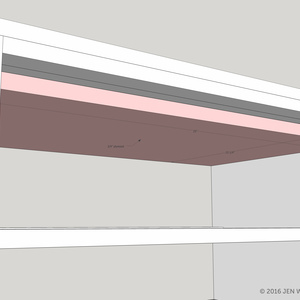 You'll want to have an 1/8-inch gap around the drawer face. Cut the drawer face to size, then position it into place and attach it to the drawer box with 1 ¼-inch wood screws driven from the inside of the drawer box. 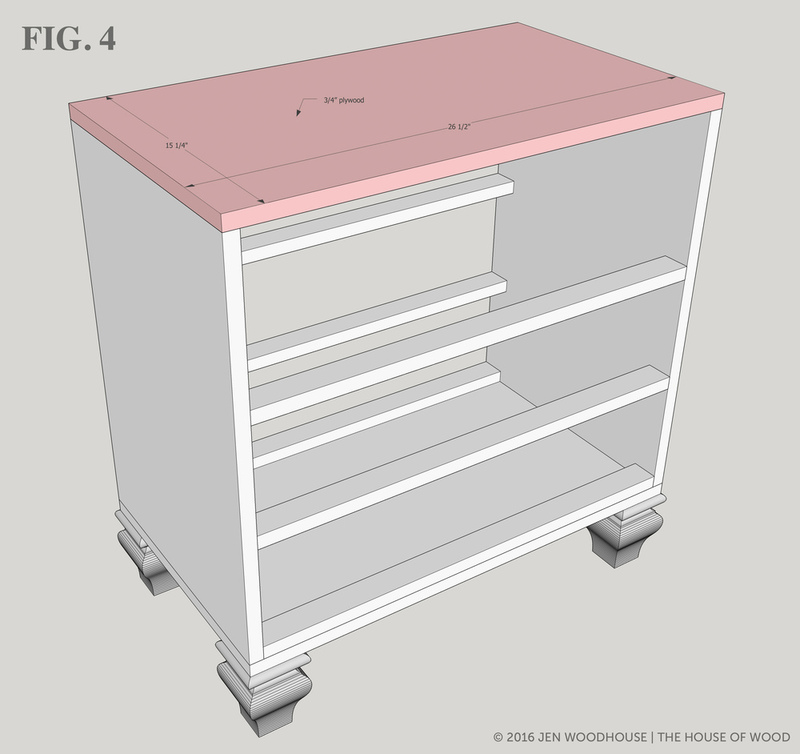 Measure the midpoint of the drawer face and pre-drill a pilot hole for the drawer knob. Screw in the drawer knob. 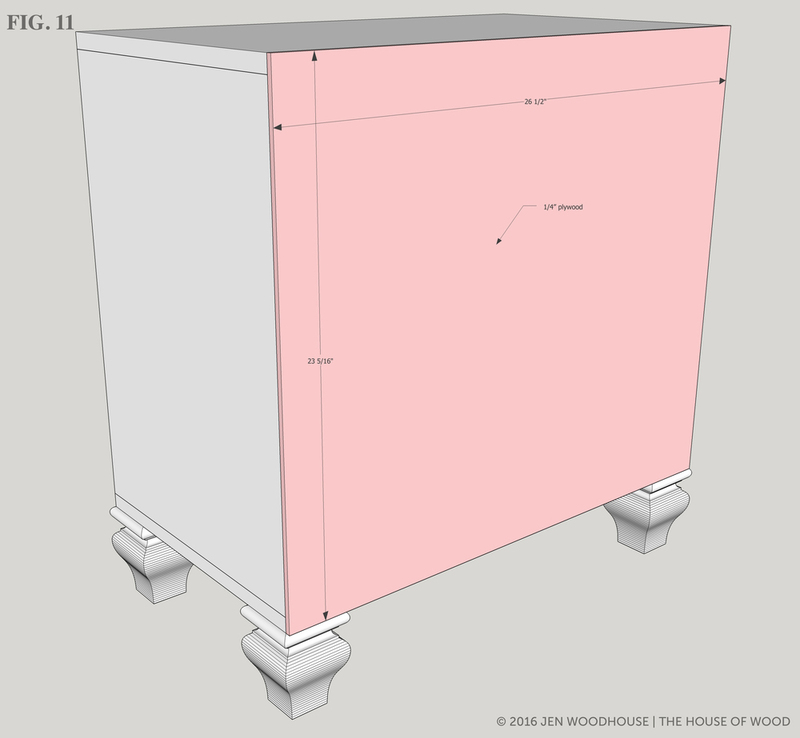 Attach the plywood back panel with 1-inch staples or brad nails and wood glue. Using a 1-inch hole saw, drill a hole into the back panel to feed the charging station cord through. 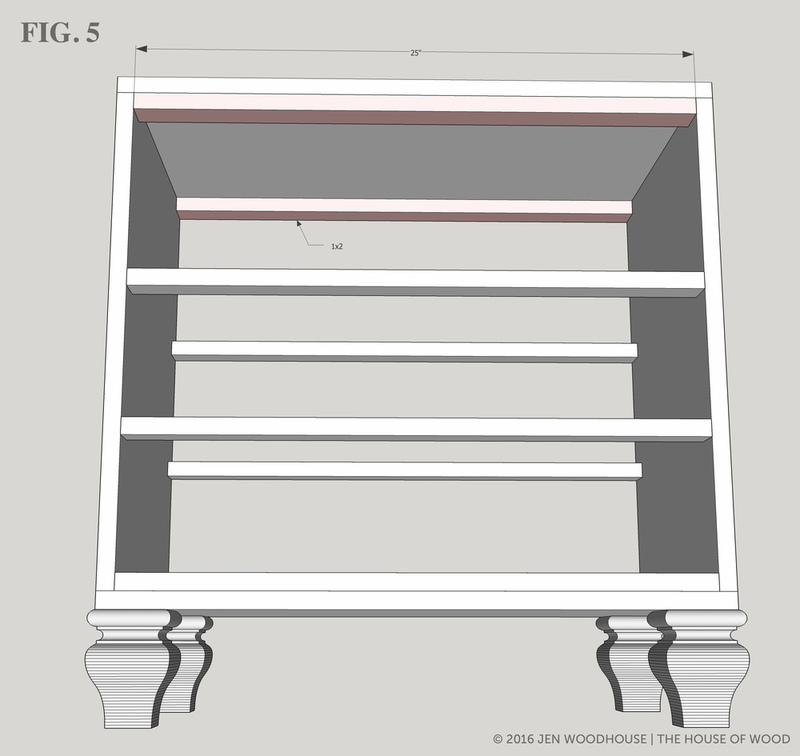 Take care to position it towards the top, where the top drawer is. Attach the top. 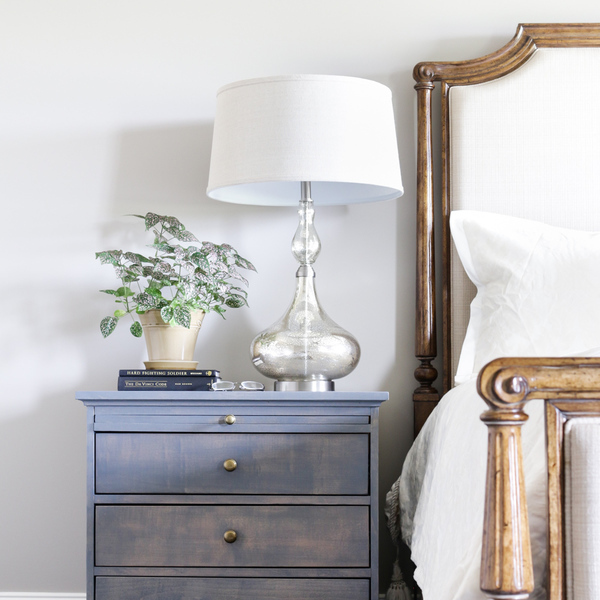 Spread a generous amount of glue on the top and attach it to the nightstand, allowing for a ¾-inch overhang on the front and sides. 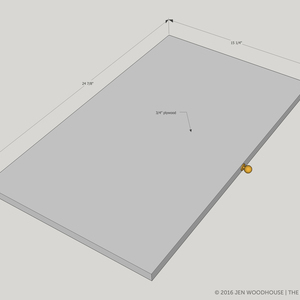 You can secure the top by shooting a 1 ¼-inch brad nail into each corner. Use wood filler to fill your nail holes. 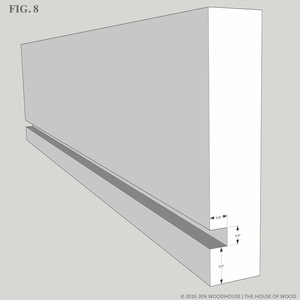 Iron on ¾-inch veneer edge banding to conceal raw plywood edges. 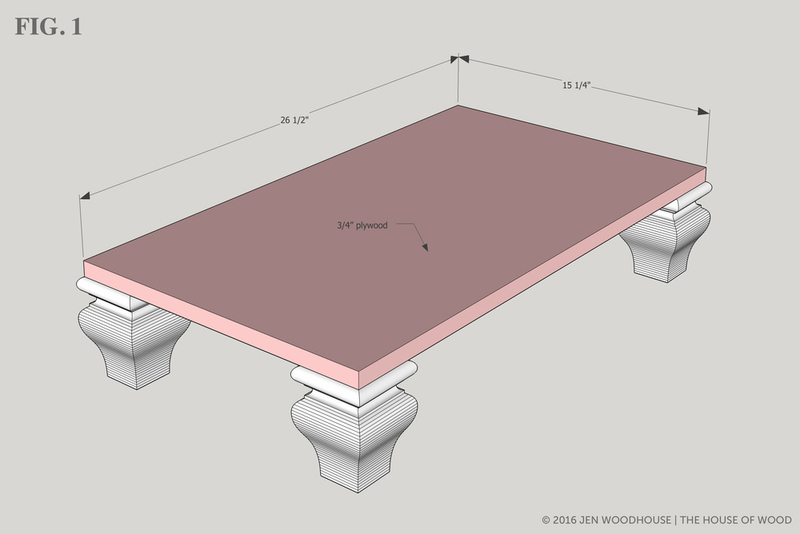 Optional: measure and cut ¾-inch cove molding and attach it to the top and bottom of the nightstand with 1-inch brad nails and wood glue. It is best to measure and cut to fit, mitering the ends at a 45 degree angle. For more details, photos, and information about this DIY nightstand with charging station and pull-out writing tray, please visit http://jenwoodhouse.com/diy-nightstand-charging-station. I love the pull-out writing tray and charging station! Nice work House of Wood!! 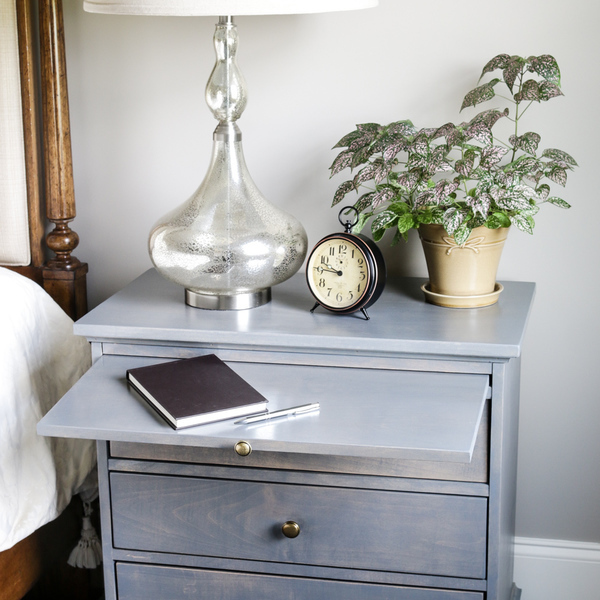 I love the tray and charging station features of this nightstand! So cool, Jen! What was the material cost?? This is a very cool project! I love the charging station and all the wires hidden. Great job Jen! @dmgmrc we are working to get this updated! Thanks for notifying us!